Toenail fungus which is also known as onychomycosis is a relatively common condition which typically begins life as a yellow or white spot beneath the tip of the toenail. According to estimates, up to 12% of people suffer from some type of fungal nail or toenail infection at some point. Toenail fungus known medically as Onychomycosis and tinea unguium is caused by an underlying fungal growth either dermatophytes or non-dermatophyte mold or yeasts which are usually the Candida species. Over time the infection spreads and grows deeper which can cause discoloration of the toenails. Other typical symptoms are a thickening and crumbling of the nail at the edges. Mild infections may not require treatment but more serious cases can lead to pain and difficulty walking. Fungus thrives in warm and damp environments meaning that the different types of fungi that lead to toenail fungus can easily take hold. If ignored and left untreated, the infection might spread to other toenails and your skin causing greater complications. Certain essential oils applied properly are an extremely effective method of eliminating toenail fungus and preventing its return. Most toenail fungal infections are caused by a fungus known as dermatophytic fungi. As well as dermatophytic fungi, there are 2 other major causes; non-dermatophytic fungi and candida. The same molds are responsible for fingernail fungus. A third of all diabetics will get toenail fungus. Fungus thrives in warm, damp places so change your socks regularly and take care to keep your feet dry. Runners often develop nail fungus because of damp footwear and sweaty feet. You can get nail fungus from communal showers or locker rooms. Diabetics and those with a weak immune system are more a risk of nail fungus. People with athlete’s foot are more likely to develop nail fungus. Men are more likely to get toenail funus than women. Older people are more prone toenail fungal infections than younger people. What are Symptoms of Toenail Fungus? Your toenails changing color and becoming brittle. This most often occurs in the nail of your big toe which is more prone to infection. The nails becoming discolored at the fronts and sides. The toenails getting softer, thicker or changing their shape. The nail becoming detached from the bed of the nail. Pain in the affected nails. White patches on the toenail’s surface. These can either be large patches or smaller dots. What are the Main Causes of Toenail Fungus? You may be surprised to learn that poor digestive health can lead to toenail infections. When there is a bacteria imbalance in the gut and it contains insufficient good bacteria, you can develop a high level of fungus and yeast in the body. This can manifest itself on the skin and nails as well as other parts of the body. Contact with fungi which could be in places like saunas, gymnasiums and swimming pools. Other skin conditions such as psoriasis. Poor hygiene or wearing dirty shoes. Poor circulation that may be caused by an underlying problem like diabetes or arterial disease. Fungal infections of the nails are actually caused by three types of fungi or yeast. Dermatophytes : Dermatophytes are a type of fungus which grow on the nails, skin and hair. They do not penetrate the body’s tissues. Athlete’s foot is one of the most common types of dermatophyte but can also infect your toenails. You can get an infection from contact with objects with dermatohphytes like nail clippers, towels shoes, socks and changing room floors. Yeasts : These types of fungus can grow on your nails and your skin. They are already present on the body but certain conditions like weakened immunity, illness and certain medications can cause a yeast overgrowth leading to infection. Molds : Molds are often referred to as non-dermatophytes and they usually grow in the soil. Mold does not usually transfer from one person to another. Conventional treatment depends on the severity of the fungus as well as the type of fungus. Topical antifungal creams and antifungal pills are often prescribed while you might need to get the damaged skin and nail removed. In some cases, it is necessary to remove the entire nail surgically. If you are concerned, you should make an appointment with a dermatologist or a podiatrist but this article will take a look at an effective, natural and safe treatment that you can do yourself at home with the minimum of effort. Many essential oils have antifungal properties and the ability to destroy the dermatophytic fungi that cause toenail fungus. Tea tree oil which is derived from the leaves and twigs of the Australian tea tree can be used to cure a wide range of oils and is frequently touted as one of the best natural treatments for nail fungus. Tea tree essential oil has antifungal properties that have proven very effective against all of the dermatophytes known to be responsible for toenail fungal infections. Tea tree essential oil can be used in combination with other antifungal oils but most of the evidence I have read says you can count on its efficacy as a standalone treatment. By following a few simple steps, you can look forward to fungus free toenails in the near future. First off, clean the affected nails well with soap and water or alcohol, dry them thoroughly and apply a drop or two of tea tree essential oil to the affected nail. Allow the oil to soak into your nails for around 10 minutes then gently scrub them with a soft toothbrush. You need not dilute the oil unless you experience a reaction or you are applying it to the skin. Repeat this treatment each day until a new healthy nail has replaced the infected one. Thyme essential oil is another well-known remedy for toenail fungus. Thyme oil contains thymol which is a well-known antiseptic often found in medicinal chest rubs but it is also demonstrably effective against for nail fungus. Follow the same steps as we discussed for tea tree oil but note that you should dilute the oil if you are applying it to the skin. Manuka essential oil has potent antifungal and antiviral properties that may even surpass those of tea tree oil. As such, manuka essential oil is becoming better known and is often recommended as a treatment for toenail fungus. Manuka essential oil is effective against a variety of fungi including the dermatophytes which cause toenail fungus. Oregano essential oil is considered to be among the very best remedies for toenail fungus. Like so many essential oils it has potent antibacterial properties but it is also an excellent solution for fungal complaints and is known to destroy a range of fungus including many dermatophytes and candida albicans. Apply oregano essential oil to your affected nails at least once a day until the infection has cleared. Winter savory essential oil is perhaps not as popular as some of the others mentioned but it is by no means less effective when it comes to treating toenail fungus. Winter savory essential oil has powerful antifungal properties and studies have shown that it is effective against a range of fungus including candida albicans. Clove is a highly aromatic essential with powerful antifungal applications because of its elevated eugenol content, a chemical compound offering excellent antifungal activities. Clove essential oil is ideal for treating a range of fungal complaints like athlete’s foot and jock itch and is highly recommended as a natural treatment for those affected by toenail fungus. Like clove oil, cinnamon essential oil is a rich source of eugenol and is commonly used to great effect against many fungal complaints including toenail fungus. Like the other oils listed above, cinnamon essential oil is very effective in inhibiting the growth and spread of fungi associated with toenail fungus. Cinnamon also reminds me of Christmas which is in no way relevant but is why it is one of my favorite essential oils. Lavender essential oil gets a mention because it has antifungal properties and is sometimes recommended to treat toenail fungus. While lavender essential oil can boast countless health benefits, it is not as effective in treating toenail fungus as it is only known to inhibit 2 of the dozen or so dermatophytes that cause the complaint. Lemon essential oil is yet another excellent natural remedy for toenail fungus. Research has demonstrated that lemon oil has natural antifungal activites as well as antiseptic properties. Lemon oil is also well absorbed by the skin and nails where it can get to work on any fungal infection beneath the nails. Lemon essential oil can be applied to your nails neat but if you are sensitive, then it is best to dilute it with a carrier oil before applying it. After diluting the oil, simply massage the oil into your affected toes and toenails using a cotton swab to get under the nail. Peppermint essential oil is one of the most popular essential oils for good reason. It has a wide range of excellent medicinal properties that can help treat a broad spectrum of conditions. As well as its many other properties peppermint essential oil has antifungal and antibacterial actions and is an excellent choice for treating toenail fungus. Peppermint essential oil or Mentha piperita also has wonderful cooling and anti-inflammatory affects that can help soothe any pain and swelling in the affected area. You can apply it directly to your affected nails but if you have any sort of sensitivity, you should dilute it first in a carrier oil like coconut oil. Apply it to your toenail with a cotton ball or a Q-Tip and you should soon start to notice the results. Technically not an essential oil but it still is a useful anti-fungal oil. Coconut oil can be used by itself or as a carrier. The acids present in coconut oil can help melt the nail and kill the fungus. Mixing coconut with a few drops of tea tree oil should make a powerful blend. The thickness of coconut oil enables it to stay in place better than the liquefied oils. We hope that one or more of these essential oils will prove effective though there are no guarantees. You should not expect an instant cure and clearing up the infection will take some time. Toenail fungus is a stubborn infection and it can take several months before it is cleared entirely and several more months before the discolored nail has grown out. You will want to fight the infection from the inside as well–making sure your immune system is strong. Try to address any overall health issues. If you have an MTHFR mutation–you may need to make sure you are getting the right B- vitamins, especially B12. You may also be deficient in Glutathione–so you can add that through diet and supplements. NAC is another powerful player which reliably boosts Glutathione and helps with detox in general. Clean up your diet, make sure you are getting enough antioxidant-rich foods and that you have no amino deficiencies. Apart from treating your toenail fungus with essential oils, there are other steps that you should take to ensure that your toenails are taken care of and remain fungus free. Regularly wash your feet with soap and water and dry them well not forgetting the areas between your toes. Keep your toenails short by trimming them when necessary. Use clean clippers and files and make sure you clean them after use preferably with alcohol. Do not use nail polish while you are treating your fungus as it prevents the nail bed from breathing properly. What essential oils kill toenail fungus? As you can see from this article, you have a number of great choices when it comes to treating toenail fungus. Many essential oils have powerful anti-fungal properties that can help eradicate various types of fungal infection including dermatophytic fungi, toenail fungus and Candida. Studies have found that thyme oil has especially powerful anti-fungal properties, while tea tree oil oregano oil and cinnamon essential oil are also high on our list. How do you apply tea tree oil toenail fungus? The following instructions apply to any essential oil you choose to treat your toenail fungus. Simply open your bottle of tea tree oil and dip in a cotton swab. Use the swab to apply the oil to your affected toenails twice each day in the morning and the evening. After applying the oil, allow your toenails to dry naturally. According to research, many essential oils contain outstanding anti-fungal properties making them a great option as a natural and effective home remedy for toenail fungus. Other potential home remedies include baking soda, ozonized sunflower oil, coconut oil, vinegar soaks and garlic. What is best medical treatment for toenail fungus? your doctor will usually prescribe oral anti-fungal medications. They tend to be the first option because they help beat the infection faster than topical medications. Some of the most commonly prescribed oral medications include itraconazole (Sporanox) and terbinafine (Lamisil). Toenail fungus is a fairly common condition caused by certain typed of fungus. It causes a variety of symptoms including discoloration of the nails, weakening of the nails and separation of the toenails from their beds. Conventional treatments usually include anti-fungal oral medications and topical anti-fungal creams. Studies have found that many essential oils have powerful anti-fungal properties and can destroy the fungi responsible for the condition. 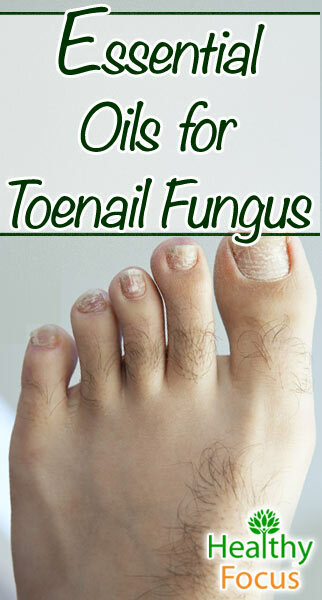 Among the very best essential oils to treat toenail fungus are thyme oil, cinnamon oil, tea tree oil and oregano oil. These oils can be applied directly to the affected nails twice a day with a cotton swab. Many people have had a great deal of success treating the condition with essential oils. Please let us know if you have ever used essential oils for toenail fungus and how well or otherwise they worked for you. We would be delighted to hear from you.